These single-plane, low-rise intakes work well for high-rpm, high-performance street applications. Ideal for applications where hood clearance is limited, they produce gains in top-end horsepower with adequate throttle response. 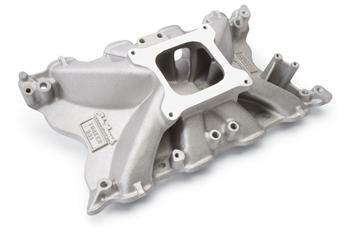 Not intended for mileage or emissions applications, they are only for high-performance vehicles.